The long-payment term and late payment issue have been in the headlines before, but this is not a finger pointing exercise. What we want to do is prepare businesses for the reality of the situation and tackling these payment lengths, whilst also raising awareness of the situation. To download the complete guide with the original data, analysis and infographics, click below. 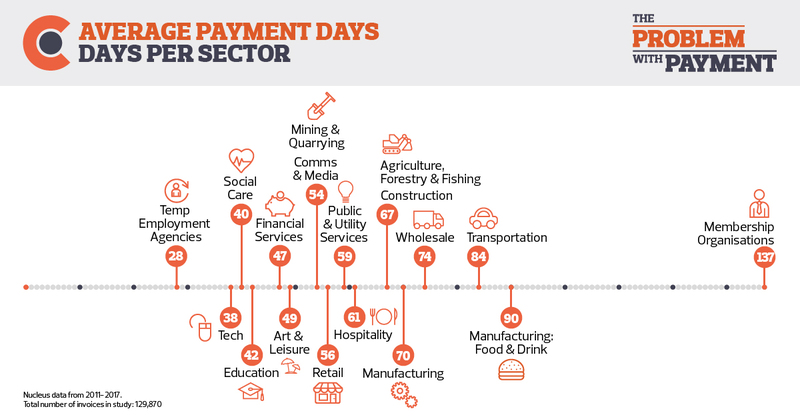 The data shows that the time it takes businesses to pay each other is usually far above the standard 30-day payment terms but also, that it varies a lot from sector to sector. This will explain why it is it hard to plan and manage cash flow, particularly for those businesses who have customers in a wide range of sectors. 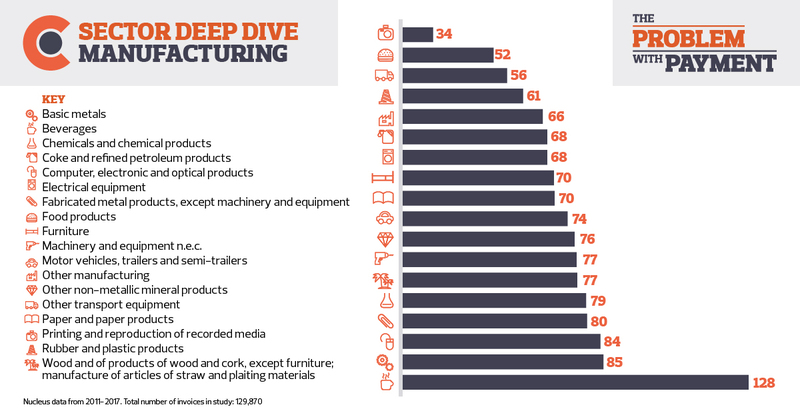 Where we see general Manufacturing, Food and Drink Manufacturing and Wholesale in the ‘worst payers’ list, that could suggest an embedded culture of taking a long time to pay or settle an invoice, both in the payment terms and payment practice and this is being passed from the manufacturers down the chain to wholesalers and retailers. 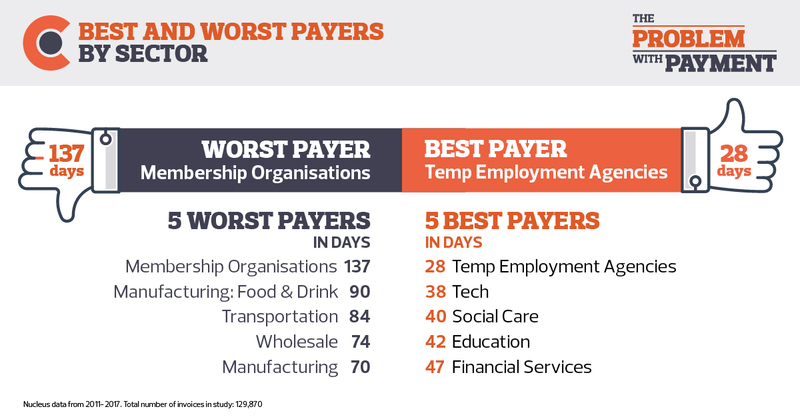 Good news for businesses whose customers fall into these four sectors – they are the fastest payers of all. The time it takes businesses to pay varies immensely in this sector but overall this sector is one of the slowest to pay. 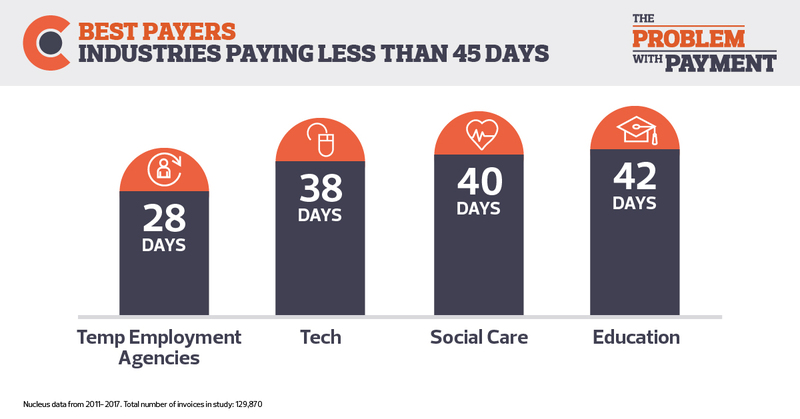 UK Wholesalers, match the national average payment days found in the rest of our study, taking on average 74 days to pay. 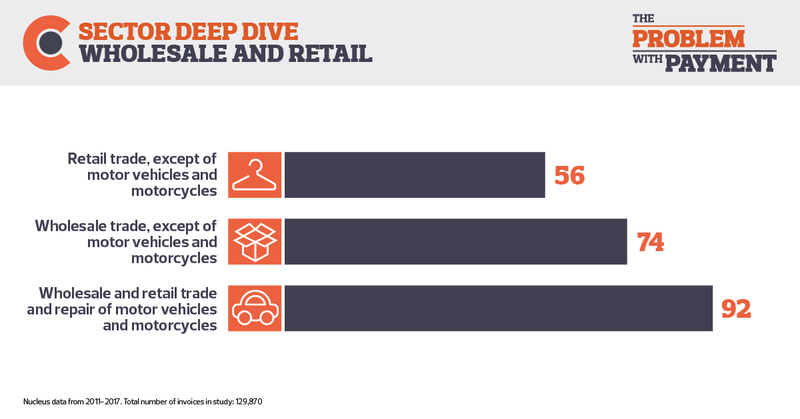 For businesses who have customers in retail, a better than average 56 days shows a step in the right direction as historically, larger blue-chip debtors in this sector have taken the longest to pay. Links to coverage of the report. Click here to get your guide with analysis, content, infographics and access the raw data and take a look for yourself at where we took the averages from.